The Holy Synod of the Church of Antioch speaks against establishing parallel jurisdictions within the present canonical Orthodox Churches. 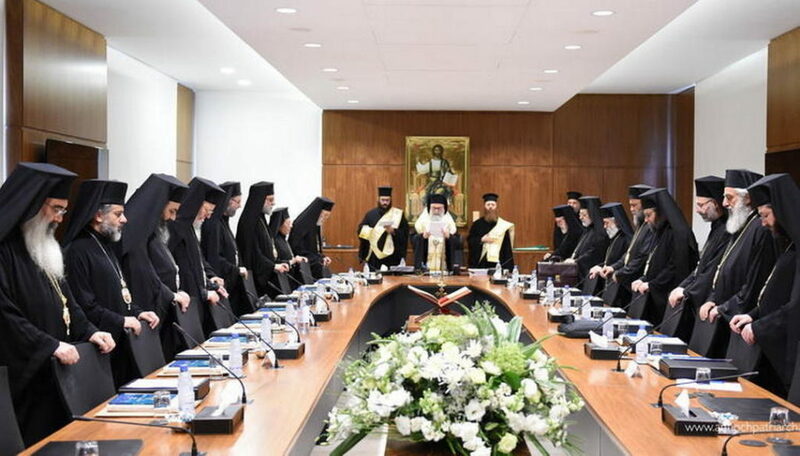 The Holy Synod of the Church of Antioch its latest session called to convene an extraordinary Pan-Orthodox Synaxis of the primates to discuss the issue of granting autocephaly to new Churches, reports “Romfea”. The Holy Synod of the Church of Antioch has released a statement in regard to the ongoing crisis situation in Ukraine caused by the Ecumenical Patriarchate’s unilateral incursion into the canonical territory of the Ukrainian Orthodox Church with the intent of unilaterally granting autocephaly to Ukrainian schismatics. The Holy Synod of the Church of Antioch warns of “the dangers of implicating the Orthodox world in the international political conflicts and the resulting harms which come from approaching the Orthodox Church’s issues on the basis of politics, ethnicity, and nationalism“. The Church of Antioch calls upon His All-Holiness the Ecumenical Patriarch to call for an urgent synaxis for the primates of the Orthodox autocephalous Churches in order to discuss the current developments that the Orthodox world is facing about the issue of granting autocephaly to new Churches, and the efforts made to find common solutions before taking any final decisions about this issue. As the UOJ reported, earlier His Beatitude Metropolitan Sawa of Warsaw and All of Poland has sent a letter to Ecumenical Patriarch Bartholomew about the need for an inter-Orthodox discussion of the Ukrainian church issue. He expressed the opinion that the situation around the Church in Ukraine is worsening every day.